1: Where’s the trolley boy? 2: Well, there was the part that you missed where I distracted him with the cuddle monkey then i said “play time’s over” and I hit him in the head with the peace lily. 1: You’re off the @#$%^&*’ chain! Definitely better than I expected. It ended up being partly a love story, which was somewhat weird, but it definitely succeeded in being intense and suspenseful. The constantly jerky camera didn’t get to me like I thought it would, which was nice. It’s definitely a cool idea and a some pretty good fun. Worth checking out (especially for a dollar). I can’t say I loved this movie, but I also can’t say I was miserable while watching it. It’s pretty much what you’d expect from such a movie. Very predictable, very cutesy. Everyone in the movie did a good job. There were quite a few laugh-out-loud moments. What can I say? Sometimes you just have to give into the wife and watch something a little cheesy. This definitely was one of the better ones. If you like this kind of stuff, or you need something nice to get on the wife’s good side, this is a good pick. I’m sorry, but this movie looks like it’s going to be awesome. I have to say, for the most part, that I am a fan of comic book movies. but most are pretty entertaining, if not just plain great. and this one looks like it’s going to be on that same level. Plus, I really like Robert Downey Jr. I know I’m a bit behind the times here. So be it. I get hooked on albums and they play for weeks in my car. Manchester Orchestra, The Weakerthans and Vampire Weekend. Because of this, I rarely listen to albums as soon as they come out. or gets put aside for a possible 2nd chance down the road. I tell you all of this to say that a new album has taken over the car stereo. This is the newest album from Modest Mouse. In my opinion, it is their best yet. Sheena told me the other day that Modest Mouse is probably in her top five bands. She said it was because of their uniqueness. I don’t know that they are quite in my top five bands, but their newest album is in my top five current rotation, and that’s good enough for me. you’re bound to like this. You want more Detroit Octane!? How about some behind-the-scenes? Save me a piece of that corn for later. I didn’t really get this movie. I like Bob Dylan, but I wouldn’t say I’m a super huge fan. At least not enough to know about his life. Maybe if you really know about his past and whatnot, this would be really good, but I really don’t have a clue. 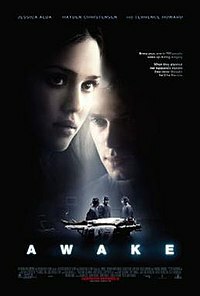 This was just a really artsy film to me. I will say that visually the movie was very enjoyable, and the acting was superb. 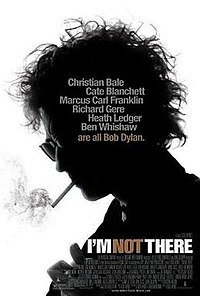 I think I liked Ben Whishaw‘s version of the musician the best. Or whoever he was supposed to be. I’m still confused. But in somewhat of a good way, I guess. Whatever. I’d heard good things about this book, but never read it. After seeing the movie, I can understand why so many people would have enjoyed the book. It’s just a really good, touching story. 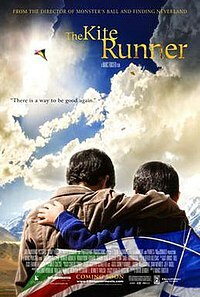 I think I’d pretty much recommend this movie to everyone. It’s a beautiful story of friendship, betrayal, forgiveness, love, etc. It’s not perfect, and I think that is what makes it seem a bit more believable. You really should see it. I wasn’t expecting much at all when we started this movie. I was pleasantly surprised. It’s a bit strange, but was a lot of fun to watch and try and figure out. It’s nothing super confusing, but you’re not completely sure what’s going to happen at the beginning. Once you get it figured out, it’s fun to see how it all turns out. It’s also quite haunting to join the main character as he is being operated on and can hear/feel everything going on, but can’t do anything to stop it. A very nice surprise for something I never really cared to see in the first place. Sometimes movies are so terrible that they are quite good. The Last Dragon is an example of one that I own. Here are The 50 Worst Movies of All Time according to Ebaum’s World. I’ve actually seen some of them. Mainly the Ed Wood movies. 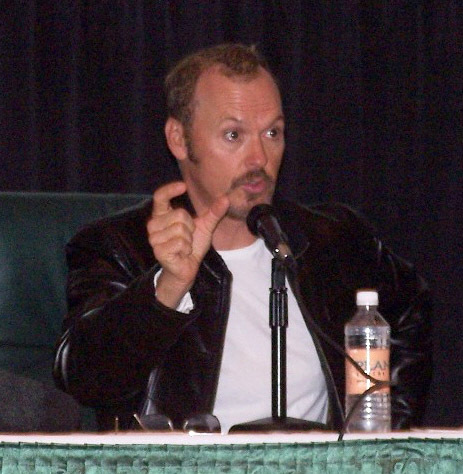 Yesterday I read that Michael Keaton was cast first as Jack on Lost, but when the character went from a small role to a large one, he couldn’t commit. I can’t even imagine it..
You’re never gonna get ahead, no, saying “yes” to the man.